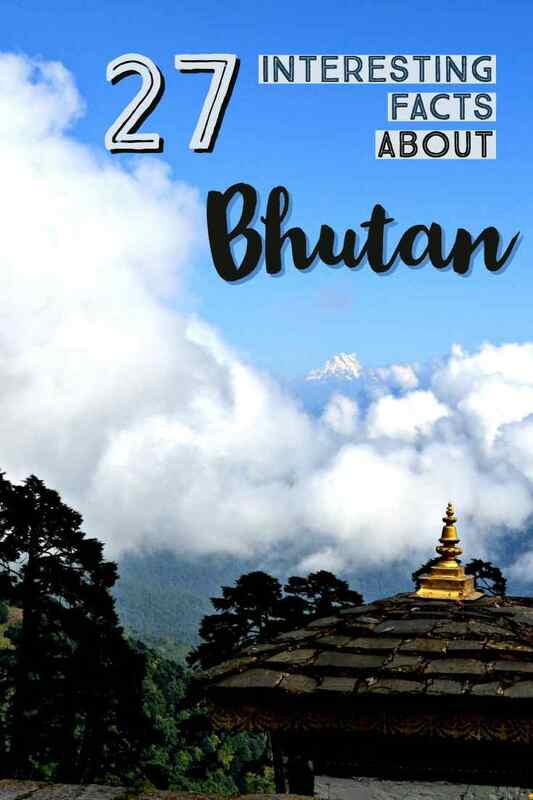 Bhutan is the first country that I traveled solo outside India, and I went ahead with as much curiosity that the world has about this mysterious country in Asia. Over my 2 weeks-trip to Bhutan, I witnessed a lot of things apart from the destinations itself, befriending the locals to hear some bizarre, funny, and surprising things about this country, some of which I experienced myself. 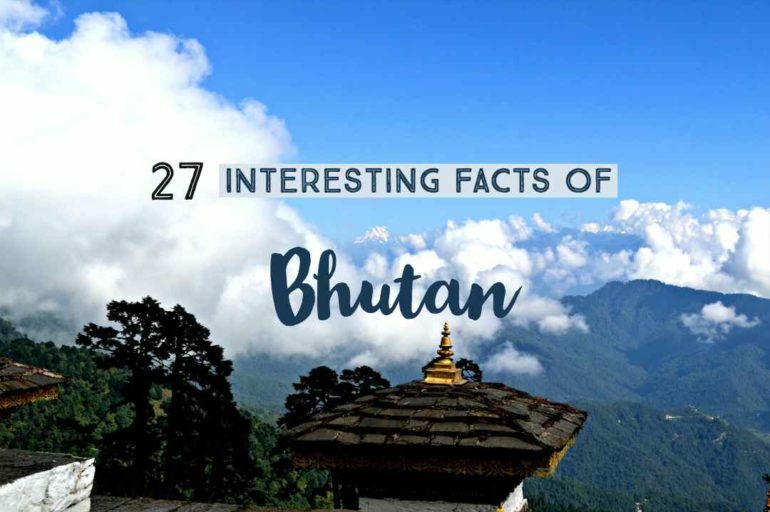 So I thought of sharing some of the interesting facts of Bhutan, a country steeped in enigma and beauty. 03 | It is illegal to smoke cigarettes in Bhutan – You may be jailed! 05 | Thimphu is the only capital without traffic lights, wait, the entire country has none! 09 | Happiness is a serious thing! 13 | High Value, Low Impact Tourism – Tourists aren’t entirely welcome! 15 | Phalluses are for driving away the evil! 25 | Bhutan’s national flower was also a mystery to Botany! 26 | Patriarchy is almost non-existent. Bhutan, one of the landlocked countries in the world, is one of the smallest countries in the world. To give you an idea, India is 86 times bigger than Bhutan or the US is 256 times bigger than this country! Bhutan has 18 to 20 of the highest Himalayan mountains, but unlike Nepal, where trekking is almost a pilgrimage, Bhutanese don’t encourage trekking these gigantic mountains, with hiking allowed only up to 6,000 meters. 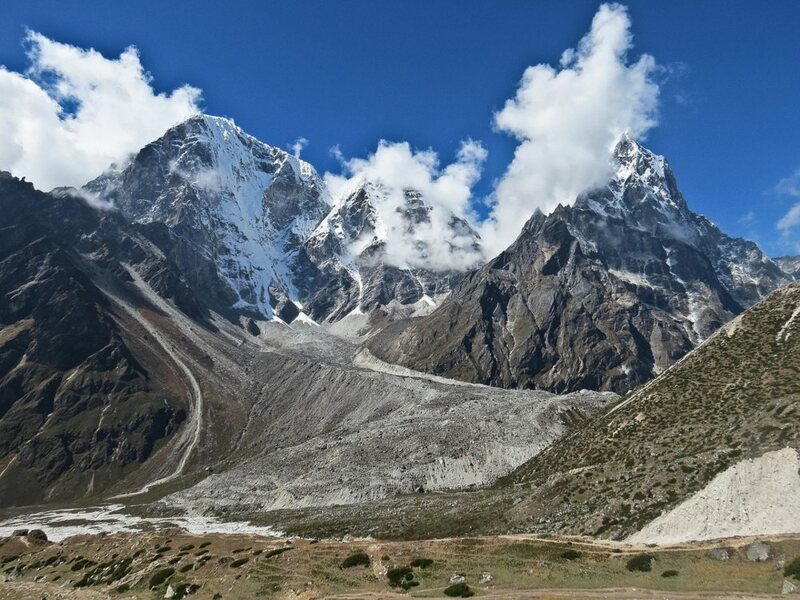 Hence, the highest mountain in Bhutan and the 40th highest in the world, Gangkhar Puensum remains unclimbed to date. A few attempts in the past have failed. 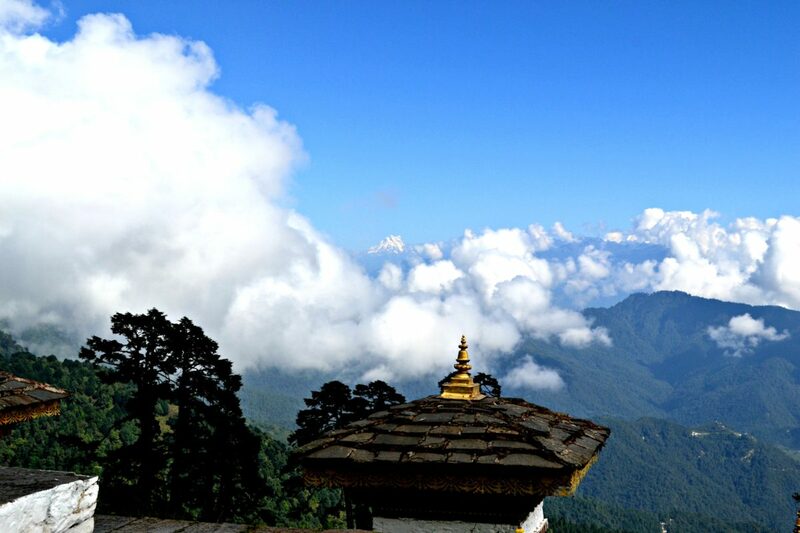 The Bhutanese believe that the higher mountains are the abode of supernatural powers, and climbing them would be an interference and would incur the wrath of the Gods. Bhutan is the only country in the world to ban the use of tobacco and you may be jailed if found smoking in the prohibited areas. The drivers that I traveled with used to smoke in the car, though, not kidding! Yes, there are some designated areas for smoking in a few hotels. Flying to Bhutan is one of the best ways to travel to Bhutan, hands down. If the sky Gods are in the mood, you’ll witness some of the best views of the Himalayas in your life! But Paro airport, the only international airport in Bhutan, is on the list of the most dangerous airports in the world, thanks to the Himalayan range of mountains and a very small runaway. The pilots take off and land manually and only 8 pilots are qualified to fly from this airport! Thimphu has little traffic, and not the city needs traffic lights, but there are no automatic traffic lights, which makes it the only capital in the world without traffic signals. You’ll find a traffic police on duty manually guiding the vehicles on the main street, and he is quite a celebrity as the tourists never miss clicking this spot. The law in Bhutan says that at least 60% of the country be covered with forests(the current one is 71%), which has ensured that Bhutan is the only carbon negative country in the world. Something to take a leaf out of the book, right? 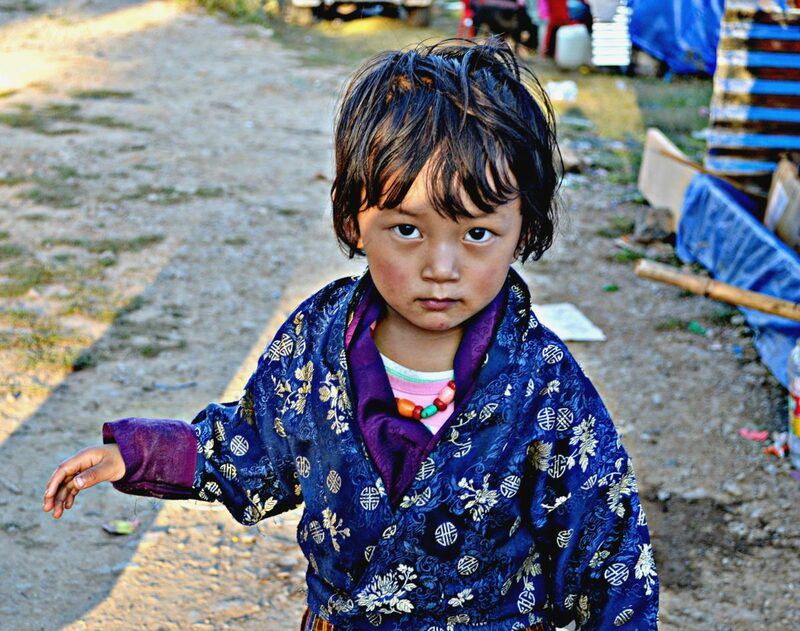 Although the country is still developing and not among the richest, healthcare and education is free for all in Bhutan. The healthcare is free for the visitors too. Since the 1990’s, the kingdom of Bhutan has been a strong propeller of no-plastics, and hence the use of plastics has been banned since then. There is a lot of debate on this one, but the Bhutanese are one of the most contented people in Asia and in the world. 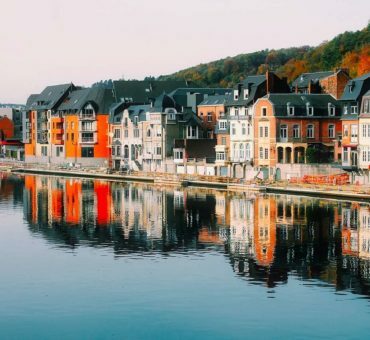 It is not the happiest county in the world as many parameters are taken into consideration in calculating the rankings. But the nation has a metric called Gross National Happiness against the regular GDP, where they believe that happiness is not related to having more money. Being isolated from the world, the presence of nature’s abundant beauty and the pride what keeps the people happier in Bhutan. It was only in 1974 that the UN recognized Bhutan as a country, which means that it was a land inaccessible to foreign tourists before that. As such, there remain mysteries about this country’s unique culture, traditions, people and the hundreds of legends around Bhutan’s main religion Buddhism. Bhutan belongs to the list of one of the few countries in the world that have never been colonised. It is a surprising fact considering its neighbours like India and China, that have had a great history of colonization. The tough geography and smart politics have favoured the country well! Bhutan in the local language Dzongkha translates to Druk Yul, meaning the land of thunder dragon, and the name was derived because of the strong thunders that the region receives, and the belief that thunders are an element of the dragons. That’s also the reason that you see a dragon in the Bhutanese flag. As mentioned above, international tourists started arriving in Bhutan only in the 1970’s. But they intentionally do not want to promote tourism on a large scale to protect the culture and nature, which is termed as high value, low impact tourism, which is probably one of the most unheard interesting facts of Bhutan. This has been achieved by setting minimum fees to be borne by the international travelers. This is $250 per day per person during the peak seasons and is $200 during the low seasons. The daily fee includes – a minimum of 3-star accommodation, all meals, a licensed tour guide, all transportation inside Bhutan (excluding flights) and all entrance fees. The prices may vary depending on how many of you are traveling as solo travelers have to pay an additional fee apart from this. This means two things – Independent travel is not possible in Bhutan and it is expensive, which would imply that the tourists wouldn’t stay longer. This also eliminates the option of backpacking, and hence it might not be possible to travel cheaply in Bhutan, which is the reason why tourists aren’t very high in number. You also need a visa which would be granted at the Paro airport. Recommended read: How To Reach Bhutan From India? As for Indians though, these rules don’t apply and it is possible to travel independently. However, the permit that has to be obtained upon arrival is only valid for 7 days and gives the permit to travel only in Western Bhutan including Thimphu, Paro and Punakha. You have to obtain an additional permit at Thimphu to travel to the rest of Bhutan, which grants you 15 more days. Like the country itself, which was cut off from the rest of the world until recently, technology was also kept at bay in Bhutan until the 1990’s as the TV was introduced only then. The internet was introduced as recently as 2001 and the internet speed lags behind compared to the rest of the world. People may be alarmed looking at the paintings of Phalluses everywhere, and I was no exception as well. But I learnt that the phalluses exist to ward off negative energy and evil forces, and hence wooden phalluses are kept at homes and walls are painted with them. The uniqueness quotient only multiplies as you further explore Bhutan. The national animal Takin is a mountain mammal, which has the head of a goat and the body of a small cow. It is one of the rarest animals just found in Bhutan and a few eastern regions. It is believed that a saint created this out of the bones and the flesh that remained after he had a scrumptious lunch consisting of a goat and a cow. A majority of the Bhutanese are Buddhists and endorse peace. They eat meat in their diet, but any animal slaughter isn’t carried out. Most of the animals are butchered in India from where they import over the road. The black-necked cranes are revered by the Bhutanese. They migrate from the Tibetan plateau to central-eastern regions of Bhutan to Phobjhika valley during November, and the locals celebrate a festival every year to welcome these endangered birds. Recommended read: 11 Festivals of Bhutan That You Should Attend At least Once! Although constitutional monarchy was introduced in the country, people of Bhutan revere their royalty. It is common to find the pictures of the royal family in the houses and shops in Bhutan. The kings have been respected throughout the history, and it is admirable and surprising to witness that. People also love flaunting their traditional Bhutanese Gho for men and Kira for women, which consists of a knee-length wear for men, and a blouse and a skirt for women with additional accessories. It is mandatory to wear the traditional dress to schools, public offices, government holidays and festivals, but most of them don’t see it as a rule as you can see many in the traditional dresses every day. The Bhutanese have a unique cuisine rich in meat, cheese and not to forget the chillies. 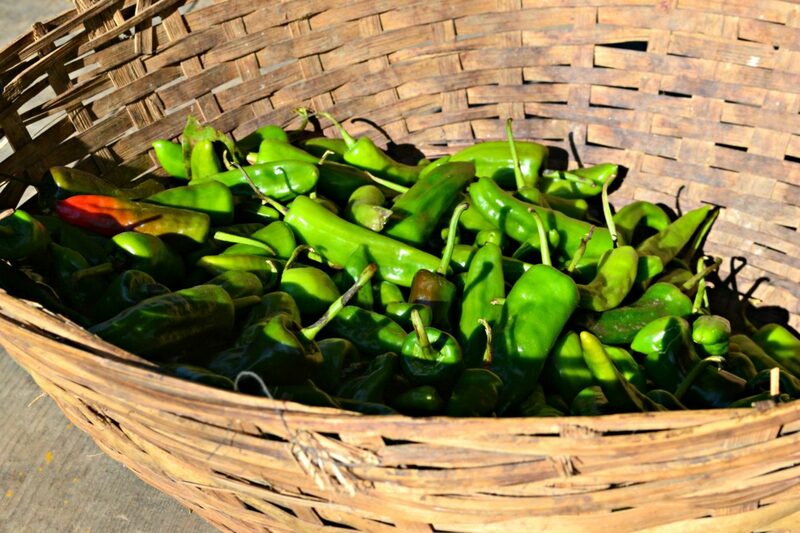 The people of Bhutan like their food with spices, especially with chillies, which they often eat raw during the lunch and dinner apart from being used in the food generously. So if you aren’t used to spicy food, you might want to request them ahead when you place your order. Speaking of food, it is expected that you refuse food when you are offered by your hosts. The locals even close their mouth and say Meshu and accept it the second time. If you visit or stay in any Bhutanese homes, you’ll probably be served butter tea made of Yak’s milk, which tastes unique. It is served hot and people chat over their cup of tea, which gets refilled until the conversations end at homes. Most of the Bhutanese do not know or celebrate their birthday (it might be changing) as it isn’t required to register the date of birth. As the new year steps, everyone turns a year older! Bhutan’s national flower is the Blue Poppy, which is a rare Himalayan wildflower, which was a mystery to the botanical world until the country got known. The botanists claim that it’s one of the rarest flower species that is hard to be found elsewhere. Unlike the most parts of the world, it is matriarchy all the way in Bhutan. Women own it all, where it is outside or at homes. Apart from heading the families, women also run shops, businesses and work on farms. The inheritance, whether it is land, house, or animals, is generally passed to the eldest daughter rather than the eldest son. When a couple marries, a man often moves into the home of his new wife. The Bhutanese are forbidden to marry foreigners and so is Homosexuality But Polygamy is legal in Bhutan, although not common. Divorces and re-marriages are common though. So these are the facts of this little country called Bhutan. 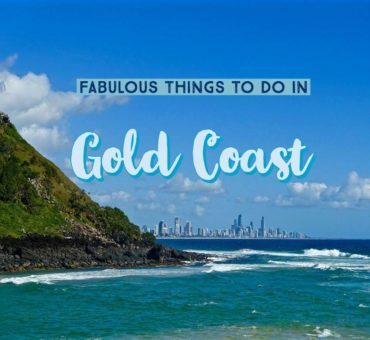 Hope you enjoyed reading this!